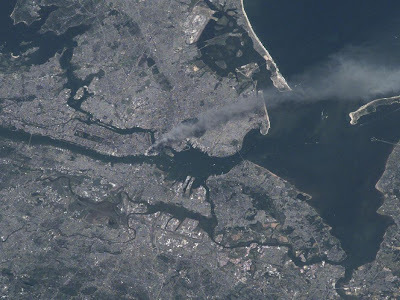 This image is one of a series taken that day of metropolitan New York City by the International Space Station's Expedition 3 crew that shows a plume of smoke rising from the Manhattan skyline (click to enlarge). I just showed everyone here in AU that picture. That is really moving. Never had seen it before!